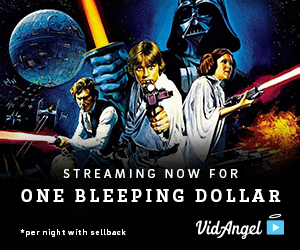 The new Star Wars movie comes out in just a few days, and it’s the talk of the town. 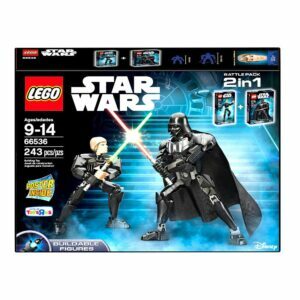 Star Wars gifts are HOT this year. 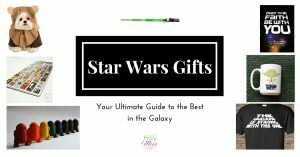 The gifts listed below are some of the most interesting, unusual, and best of all, none of them break the bank. 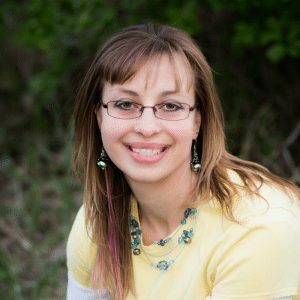 Some of the following are affiliate links. If you plan to go see the new movie in theaters, pre-buying your tickets is a must. Two options for buying tickets online are MovieTickets.com and Fandango.com. 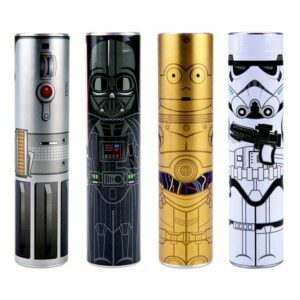 Charge your smartphone with this Mimo Power Tube from thinkgeek.com. Our teens love power tubes like these for recharging their phones while out and about. 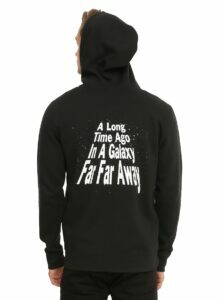 Men’s Star Wars hoodie (suggested by Kiersten) at hottopic.com. 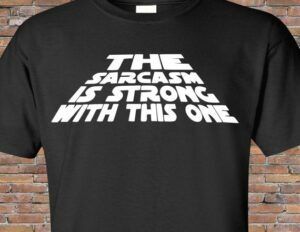 The Sarcasm is Strong with This One tshirt at etsy.com. 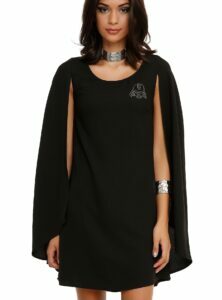 Men’s PJ pants (recommended by Kiersten) at hottopic.com. 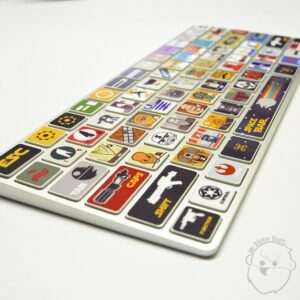 Star Wars Keyboard Skin (Macbook) from etsy.com. 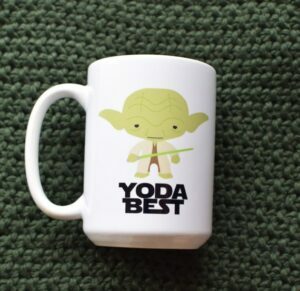 Yoda Best customizeable coffee mug from etsy.com. 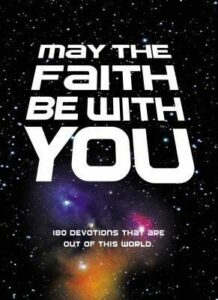 May the Faith Be With You: 180 Devotions that Are Out of This World from familychristian.com. 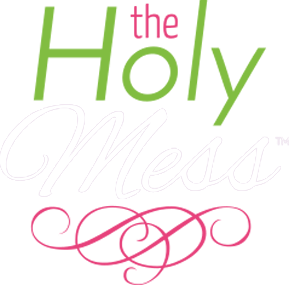 Get yours here: Browse Family Christian’s Assortment of Christian books, bibles, gifts, and more. 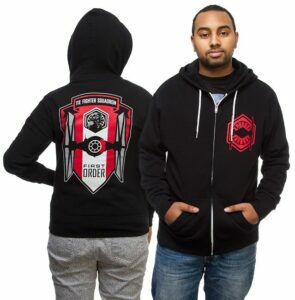 When you shop, you give: 100% of profits are donated to Christian charities! 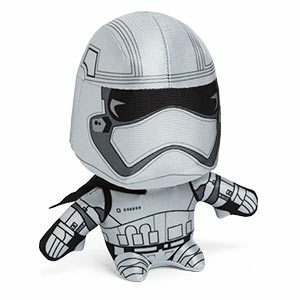 Captain Phasma Plush, exclusive to thinkgeek.com. 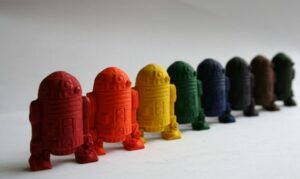 Who wouldn’t love to eat lunch with R2D2? 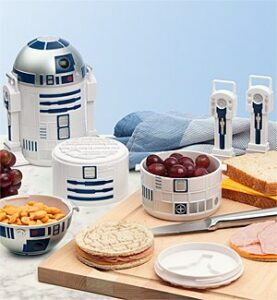 Bento-style lunch box from thinkgeek.com. 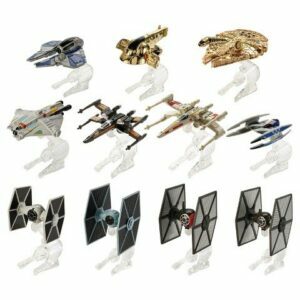 Star Wars Hero and Villains by Hot Wheels, at target.com. 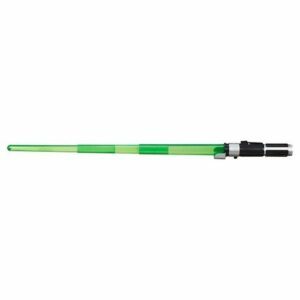 Yoda Light Saber lights up green, at target.com. Recommended by Zack. 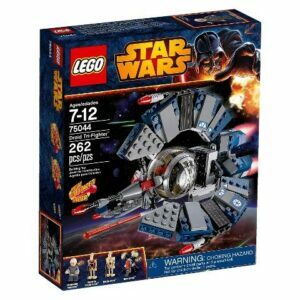 Star Wars Legos Droid Tri-Fighter by target.com. 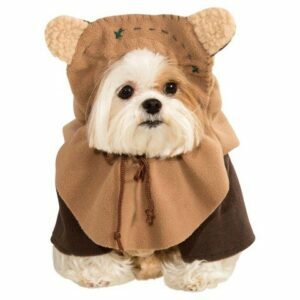 Star Wars Ewok Pet Costume from target.com. 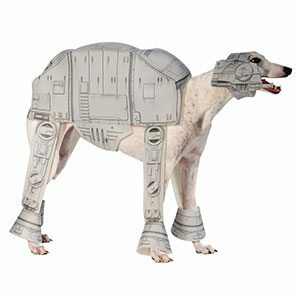 Star Wars AT-AT Dog Costume from thinkgeek.com.